ColoVista Golf Club - recently reopened and managed by Billy Casper Golf - is an 18-hole championship design that features well manicured conditioning on two distinctive nines. The opening nine presents a links flavor (outside of the opening tee shot that begins from a cliff behind the pro shop, for those hitting from the tips), with wide, gently rolling fairways that play along an open terrain. The back side has more of a traditional parkland feel, with tree lined fairways and undulating topography. The green complexes on both nines feature small to medium putting surfaces that are mild in slope and undulation. Most often, there is significant recovery room, and the gentle mounds and swales do not present too much adversity for those hoping to get up and down. Bunkering is understated, with just 18 sand traps located near the landing zones off the tee, or situated greenside. Water comes into play on 4 holes on the front (numbers 4 through 7) and on just one hole on the back (on the right perimeter of the par 5 seventeenth). Long hitters and scratch players will enjoy the view for the tips of the first tee box, as this hole drops significantly to a generous fairway. The beautiful par three 15th drops 124 feet to the green from elevated tees - an incredible golf hole! There are 5 sets of tee boxes that play to distances and slopes measuring 7021 yards/126 slope, 6596 yards/122 slope, 6112 yards/117 slope, 5452 yards/118 slope for women, and the executive tees play to 4803 yards with a slope of 108. As these ratings indicate, this is a player-friendly layout that can be enjoyed by golfers of all skill levels. On course, there are 225, 175 and 125 yard markers in the middle of the fairways, and color coded flags indicate front, middle and back pin placements. The comfortable carts are compartmentalized and are equipped with ball & club washers. On property is a grass range plus putting and chipping greens. The clubhouse features a pro shop and adjacent is a snack bar that serves beverages plus hot & cold sandwiches. The clubhouse has a full restaurant and banquet/outing facilities that can serve up to 150 people. 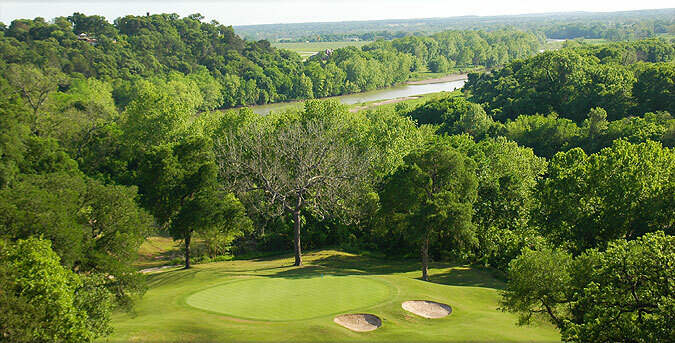 Attractive Stay & Play packages are currently available by visiting colovistagolf.com or calling 512-629-4585. For more info on the golf course, visit our detailed listing page by clicking here.